Keep track of your blood glucose the easy way! 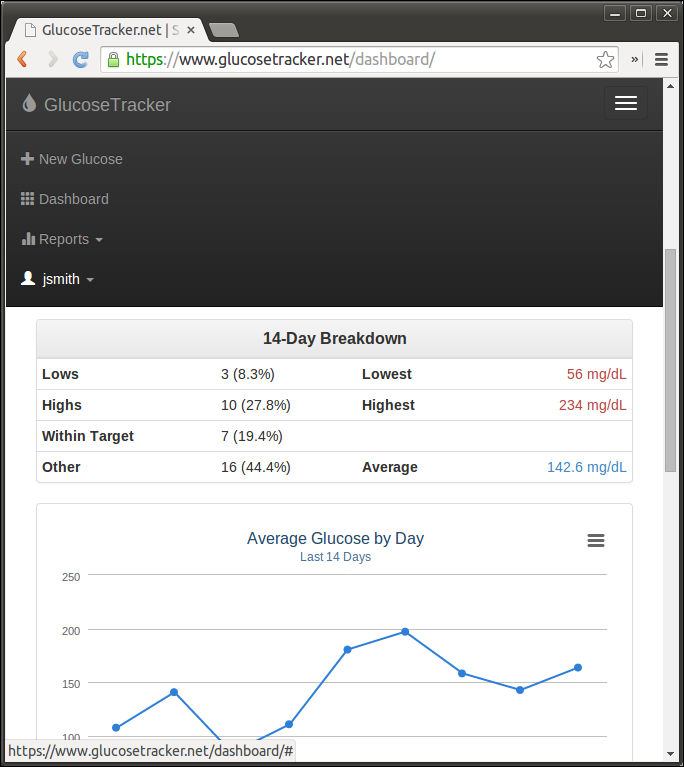 GlucoseTracker is a simple and easy to use web application for keeping track of your blood glucose levels. It's completely free with no ads. Modern look and mobile friendly! Beautiful charts. Visualize your data. 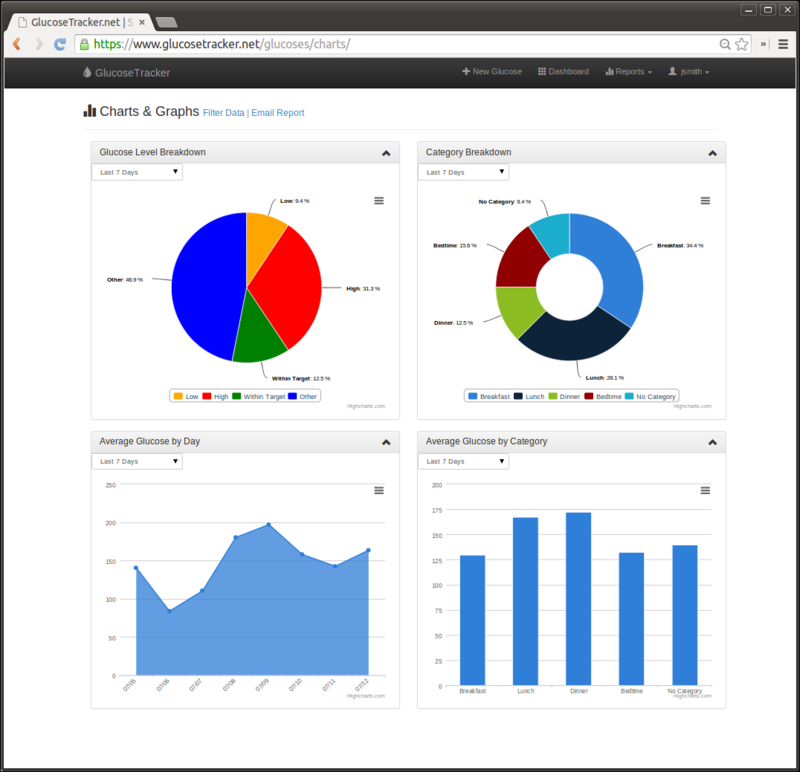 Quickly see how you're doing by looking at the different graphs and charts made available to you. Select values from the last 7, 14, 30, or 90 days. Advanced data filtering. Create your own report. 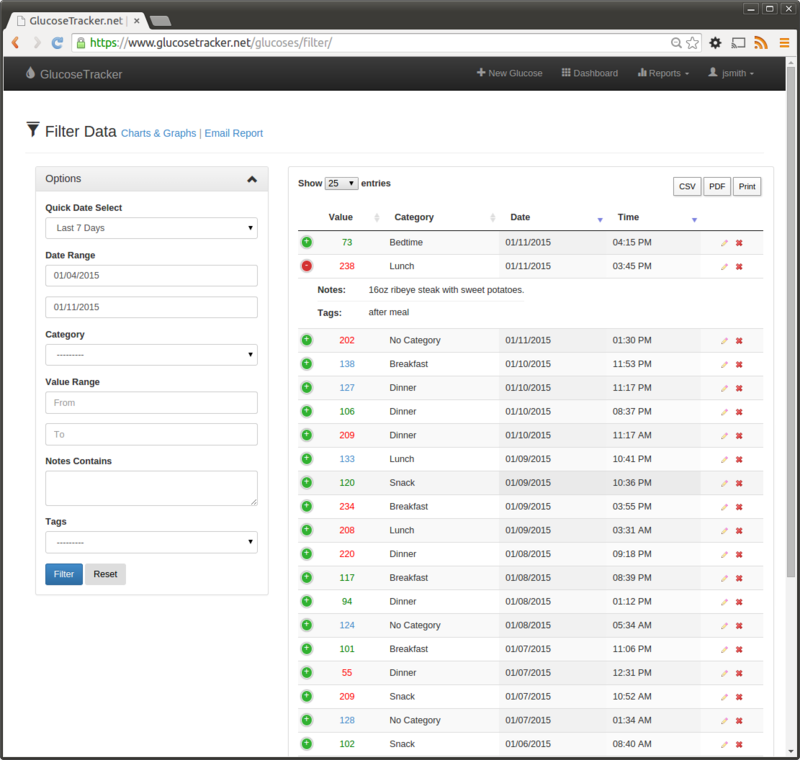 You can filter your data by date, category, glucose range, tags, or even search your notes. When you're done, you can then export the result to a CSV or PDF file, or just simply print it out. Email your data. Send your data directly to your doctor. No more carrying log books when you visit your doctor! 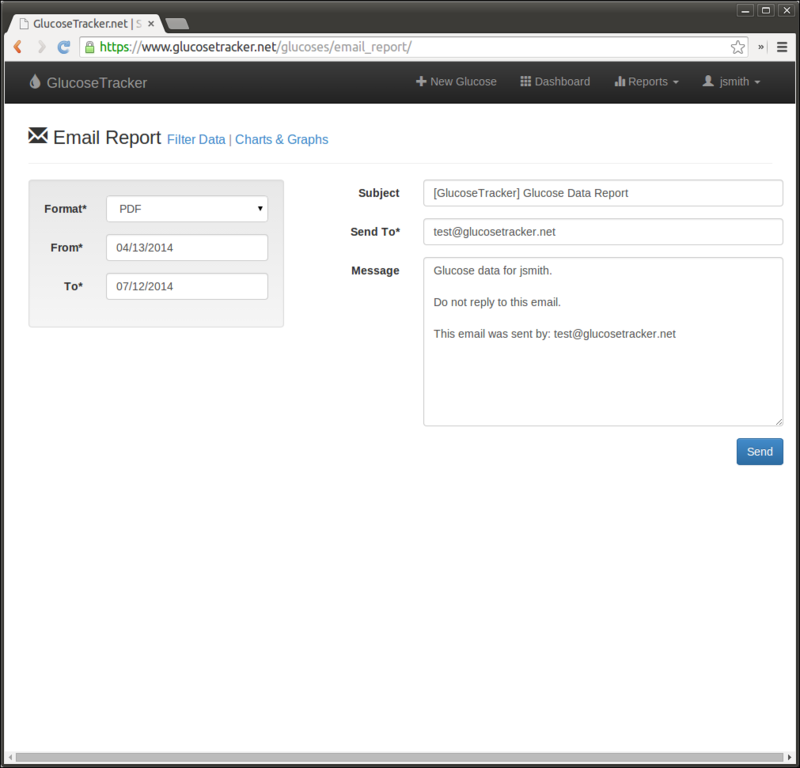 Send your data via email instead as a CSV or PDF attachment. Just select the file format, date range, enter the email address, and hit Send. 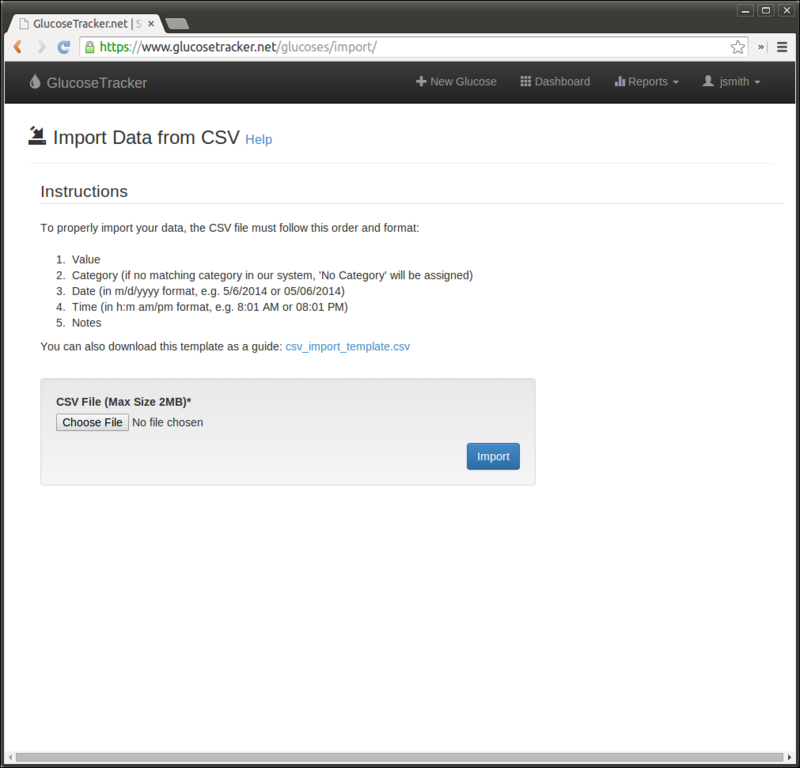 Supports CSV Import. Import existing data in CSV format. Got existing data and too lazy to enter them manually? Most systems support exporting data in CSV (comma-separated values) format. Save time entering them manually as GlucoseTracker supports importing data from a CSV file! Mobile friendly. Layout adapts to screen size. Prefer using your tablet or smartphone? No problem! 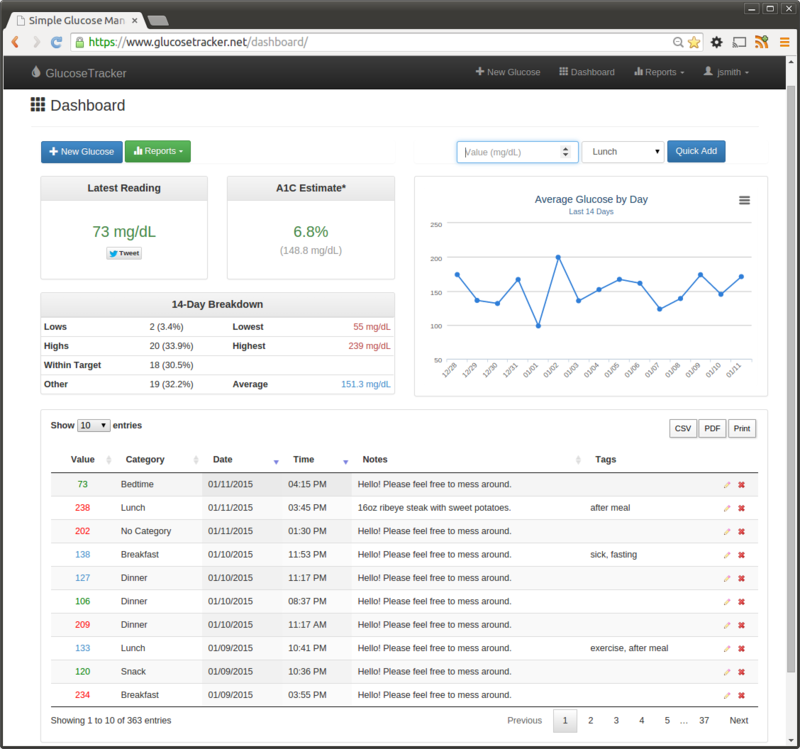 GlucoseTracker was designed with mobile devices in mind. The website will automatically adjust based on the screen size so it will always be easy for you to use.